Lock in a great price for San Francisco Hotel Monumento – rated 9.3 by recent guests! Beautifully remodeled old convent facility located near the center of the old city, but away from the crowds and busyness. Right next door to the large Church of St Francis where services are being held during restoration work on the Cathedral. 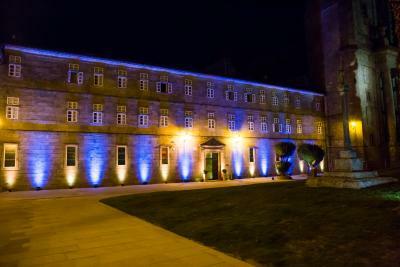 It was the first time staying in a former convent. It was amazing! it has been lovingly restored. Unfortunately we didn’t have enough time to take full advantage of the facility. But we were able to experience the historic section and feel a part of it. 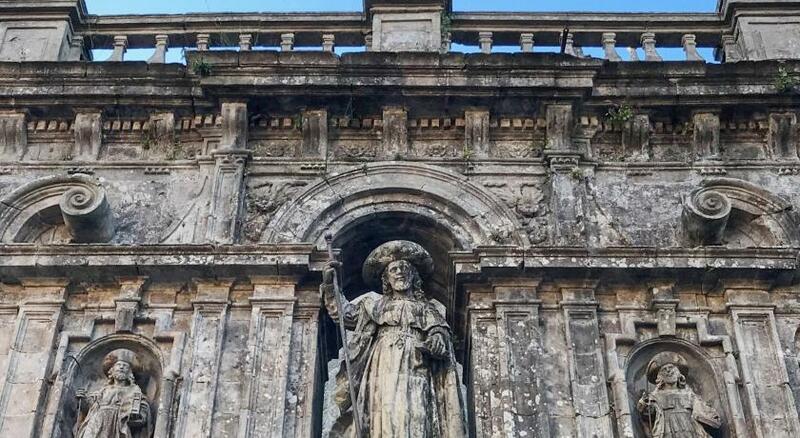 Not only looking forward to our return to Santiago but also staying at San Francisco Hotel Monumento. This place totally exceeded my expectations. 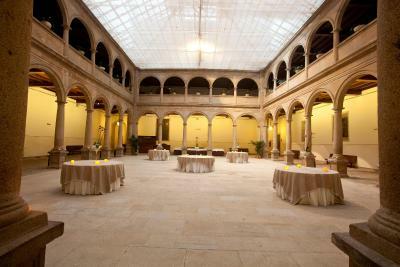 It's a nicely renovated hotel in a historic convent that goes back to 13th century. Parking is very convenient. The staff are excellent, kind and very courteous. Location is central but it's very quiet at night. The room was gorgeous and our view of the plaza and church was lovely. 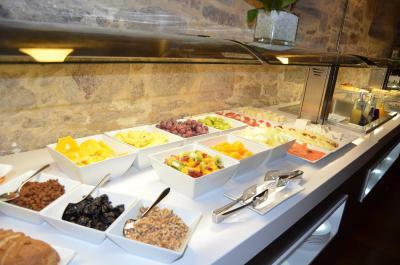 The hotel was tastefully done, the buffet breakfast was delicious, and the location is perfect for the historical part of the city. The pool and jacuzzi were beautiful, clean, and restful, too. The staff went out of their way to be helpful-answering all our questions, offering recommendations, etc. I couldn’t have been more please with my stay! Most important to me: the project behind the hotel. I fully agree to support the social projects from the Franciscans. It will be an important goal to be achieved. ... 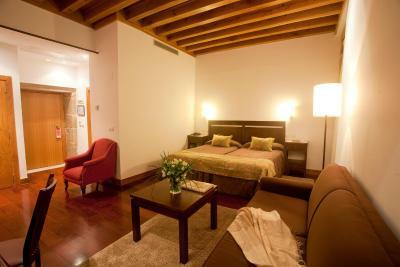 While the quality of hotel services are among the best ones in Santiago. What didn't we LOVE?! The location - watched New Year's Eve fireworks through our bedroom window. Two minutes from the major cathedral and square. 5-10 minutes to everything else in town. Easy taxi access to the out-of-own Cultural City. 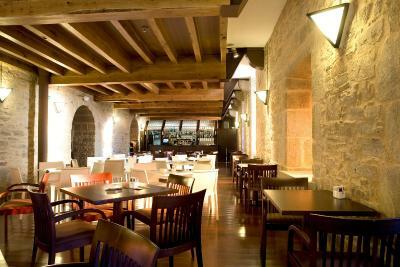 Many, many excellent restaurants in town, but eating in the Hotel was as much a treat as the other restaurants we tried. Cozy room with two easily accessible elevators. Inspired renovation of the 1214 Convent which took 5 years in which they saved the historic while adding the necessary modern conveniences. Bravo to the architects and designers! the hotel is an experience in itself. Included breakfast was expansive and filled us for the day. May others enjoy this Hotel as much as we did. all staff were top notch. 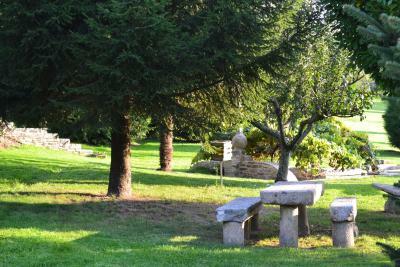 Great post Camino relaxation spot. Big breakfast buffet. 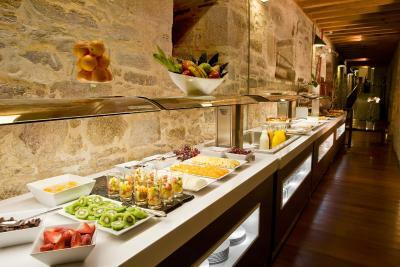 Staff spoke excellent English, and were most helpful.Buffet breakfast was bountiful-the best, on our 2week trip. San Francisco Hotel Monumento This rating is a reflection of how the property compares to the industry standard when it comes to price, facilities and services available. It's based on a self-evaluation by the property. Use this rating to help choose your stay! 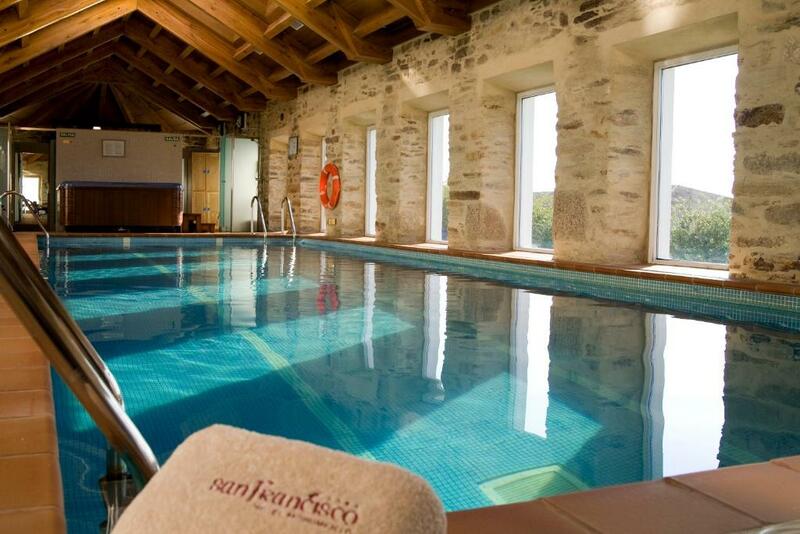 One of our top picks in Santiago de Compostela.San Francisco Monumento is a historic monastery with an indoor pool and hot tub. 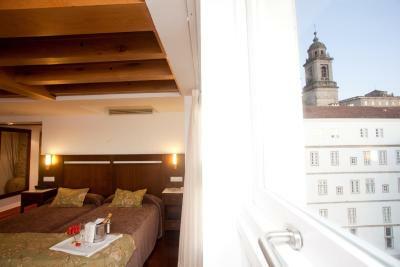 This charming hotel is in the center of Santiago de Compostela, 500 feet from the famous Cathedral. 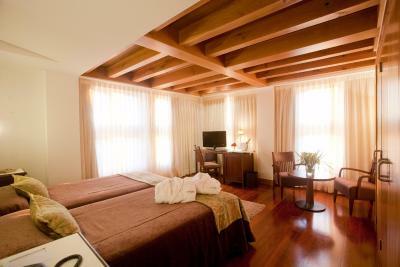 The rooms at the hotel are spacious and elegant. They all have a minibar and a flat-screen TV. Free internet access is also available. 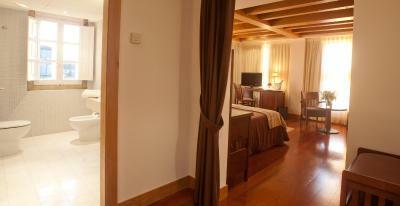 The rooms also have air conditioning and heating. 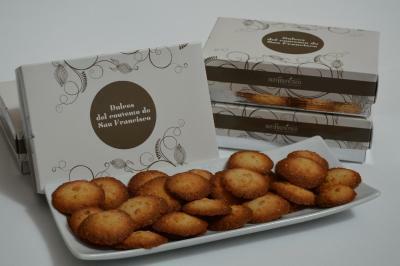 The San Francisco has a gourmet restaurant that serves creative regional dishes. 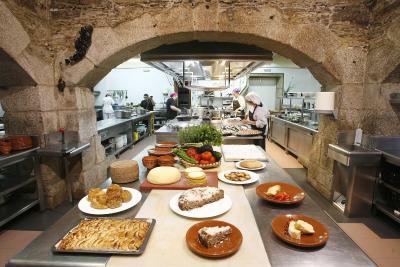 The restaurant uses fresh produce from the hotel grounds. There is free private parking on site. 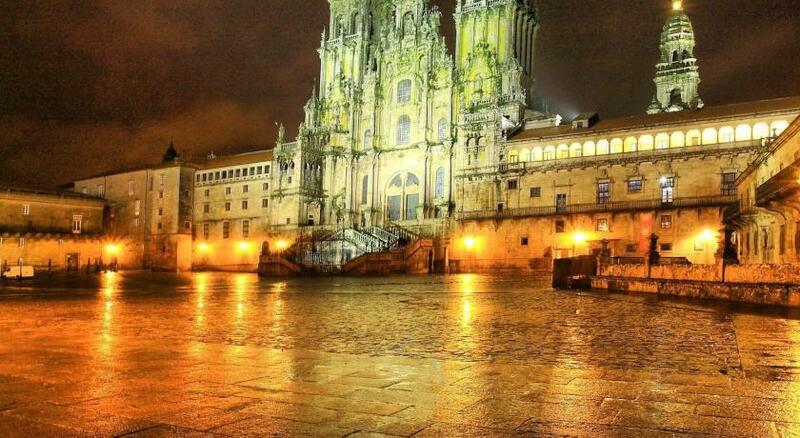 This is our guests' favorite part of Santiago de Compostela, according to independent reviews. 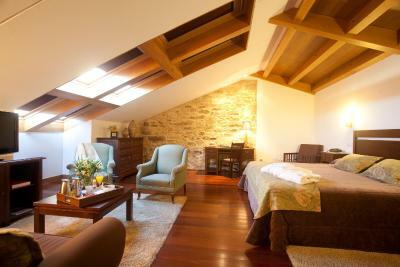 This property also has one of the top-rated locations in Santiago de Compostela! Guests are happier about it compared to other properties in the area. 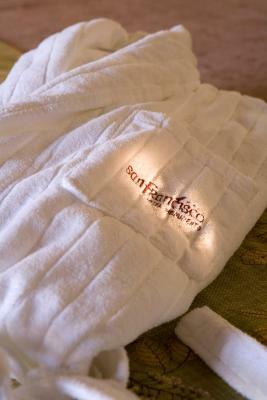 When would you like to stay at San Francisco Hotel Monumento? This more spacious, air-conditioned room has chic hardwood floors and is decorated in soft natural tones. It includes a minibar, a flat-screen TV and a private bathroom. Free Wi-Fi is also available. This air-conditioned room has smart hardwood floors and is decorated in soft natural tones. It includes a minibar, a flat-screen TV and a private bathroom. Free Wi-Fi is also available. This room is decorated in lightly colored tones and has hardwood floors. It includes air conditioning, a minibar, a flat-screen TV and a private bathroom. Free internet access is also available. The old town is at the end of one of Europe's most ancient pilgrimage trails. When you walk the narrow streets, look out for the scallop shells in the walls that are used to guide the pilgrims. House Rules San Francisco Hotel Monumento takes special requests – add in the next step! All children under 12 years are charged EUR 28.60 per night for extra beds. San Francisco Hotel Monumento accepts these cards and reserves the right to temporarily hold an amount prior to arrival. Please note that all single beds are 3 feet (35 inches) wide. 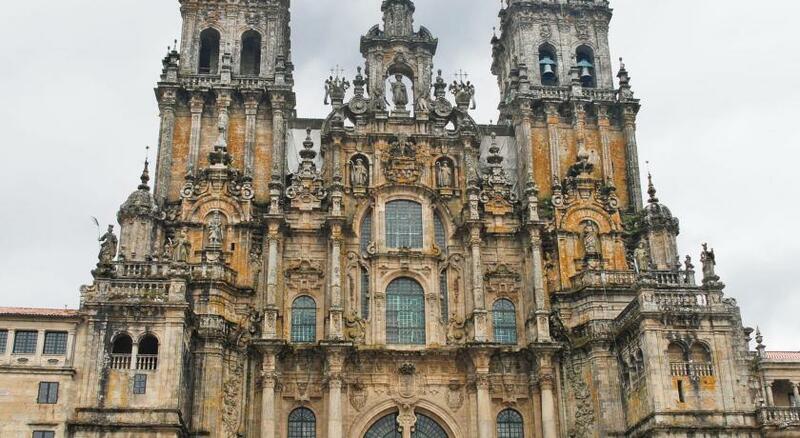 One of the most picturesque neighborhoods in Santiago de Compostela! On our first night, there was a loud “knocking” noise in the walls which kept us awake until 3AM. The night staff relocated us to another room to sleep in the middle of the night. Engineering came the next day to say they had abated the noise which was due to some “pipe problem”. Second night was quiet. No discount offered for our inconvenience. No tea/coffee facilities in the rooms as standard although the staff sorted us out with a kettle and coffee for the room when we asked. 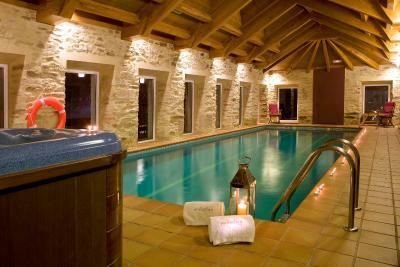 Inflexible staff, poor uncomfortable bar, no gym and you had to enter pool from outside are and the Bring your towels back to the reception and no where else which was strange and again inflexible. Toiletries never changed. Everything, perfect hotel, amazing location, staff very friendly, chilled atmosphere. Lovely historic buildings. Excellent location. Staff service good.